"And thus Laman and Lemuel, being the eldest, did murmur against their father. And they did murmur because they knew not the dealings of that God who had created them. Neither did they believe that Jerusalem, that great city, could be destroyed according to the words of the prophets. And they were like unto the Jews who were at Jerusalem, who sought to take away the life of my father." 1. That God has chosen Zion (referring to Jerusalem) as his earthly abode. The Temple of Solomon, and particularly the Ark of the Covenant within the temple, represented God’s presence in Jerusalem. Psalm 48 is a good demonstration of the perspective of Zion theology. Some people may have used Zion theology as an excuse for not repenting, thinking “Jerusalem can never be destroyed” or “all is well in Zion.” In Jeremiah 22–28, the people of Jerusalem did not believe that they needed to make any deals with the King of Babylon because God would protect them. Jeremiah prophesied that the Lord would only protect the Davidic monarchy and Jerusalem when they were righteous, and that Jerusalem would soon be destroyed by the Babylonians. Jeremiah was thrown into prison and almost put to death for this prophecy. 1. Moses was an ideal human figure. Beginning with Moses’ successor, Joshua, subsequent prophets were compared to or depicted as similar to Moses. 2. 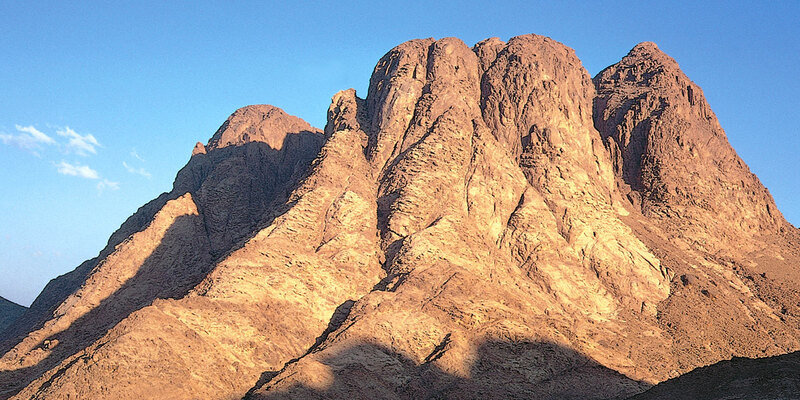 Sinai theology was associated with the northern kingdom of Israel, whereas Zion theology belonged to the southern kingdom of Judah (where Jerusalem was located). 4. God is the king; any human king is to be the chief scriptorian, subject to God (see Deuteronomy 17:14–20). 5. Sinai theology is associated with the scribal class. The Book of Mormon appears to support Sinai theology rather than Zion theology. The name David is mentioned 1,127 times in the King James Version of the Bible, but it shows up only seven times in the Book of Mormon.6 The only direct mentions of King David come in the words of Jacob, and they are all negative references to David’s iniquities (Jacob 1:15; 2:23, 24). The Nephites, apparently, did not look upon David and his dynasty with high regard. Moses, in contrast, is mentioned 65 times in the Book of Mormon. It is apparent that, as Dr. Halverson has argued, we must understand the covenant at Sinai if we wish to understand the Book of Mormon. Lehi, Nephi, and their descendants in the promised land clearly cherished and adhered to the covenant at Sinai, and greatly emphasized Sinai theology over Zion theology. But why was this the case? As noted above, Sinai theology was associated with the northern kingdom of Israel. Alma 10:3 informs us that Lehi was a descendant of Manasseh, a tribe of the northern kingdom. Although Lehi’s family moved to Jerusalem at some point, they were not natives of the southern kingdom. It appears that Laman and Lemuel had bought into the views of the local Zion theology, in that they did not believe that the great city of Jerusalem could be destroyed. They despised the fact that their father, much like Jeremiah and other prophets, was preaching that it would be (1 Nephi 2:12–13). Lehi was likely close to Jeremiah, and his visions have a similar thrust to what Jeremiah was prophesying at the time.9 Furthermore, Nephi was likely trained as a scribe, and, thus, would have been influenced by the scribal class’s interest in the Sinai tradition. Although we do not know all of what was on the plates of brass, we do know that it contained the five books of Moses, and also many of the words of Jeremiah (1 Nephi 5:11, 13). The plates of brass may have been a record that came from the northern tribes of Israel, so they may have been less influenced by Zion theology. Although the Lord did, indeed, make important promises to King David, and to his royal line after him, which would eventually be fulfilled in the person of Jesus Christ, the meaning of this covenant for the people of God was often misinterpreted. Lehi and Nephi knew, and wanted to teach their descendants, and future readers of the Book of Mormon, that it is only when we keep the commandments of God that He will help us “prosper in the land” (1 Nephi 4:14). Taylor Halverson, “Covenant Patterns in the Old Testament and the Book of Mormon,” presentation given at the 2017 BMAF–BMC Book of Mormon Conference, accessed online at https://youtu.be/UCUdceAvM0A. 1. The ideas expressed in this KnoWhy are largely drawn from an conference presentation given by Taylor Halverson. See Taylor Halverson, “Covenant Patterns in the Old Testament and the Book of Mormon,” presentation given at the 2017 BMAF–BMC Book of Mormon Conference. 2. In the Old Testament, the name Zion was often used to refer to the city of Jerusalem (2 Samuel 5:7), which was considered to be the city of God (Psalm 87:2–3). The name Zion can be applied to other cities and groups of people, as is seen in both ancient and modern scripture (Zechariah 9:13; Hebrews 12:22; Doctrine and Covenants 45:66–67; 57:2–3; 97:21; Moses 7:18–19). The use of the term “Zion” in this publication should be understood as referring to the Jerusalem of ancient times and not to the idea of the city of Zion, or New Jerusalem, nor to the doctrines or theology involved with it, as revealed to the Prophet Joseph Smith. 3. See Book of Mormon Central, “Why Does Jacob Describe God as a Divine Warrior? (2 Nephi 6:17),” KnoWhy 227 (February 20, 2017). 4. “The assumption is that Israel conceived of its relation to Yahweh as that of subject peoples to a world king and that they expressed this relationship in the concepts and formulas of the suzerainty treaty.” Norman K. Gottwald, The Hebrew Bible: A Socio-Literary Introduction (Minneapolis, MN: Fortress Press, 1985), 205. 5. See also Exodus 20:12; Deuteronomy 4:1, 40; 5:29; 6:1, 3; 11:9. 6. Three are from Nephi’s quotations of Isaiah (2 Nephi 17:2, 13; 19:7), and one is the name of a location (Mormon 2:5). 7. Some Psalms related to Zion theology include Psalms 46–48, 76, 84, 93, 96–99, 132, and others. For more on the Psalms in the Book of Mormon, see Book of Mormon Central, “Why Does Jacob Quote So Much from the Psalms? (Jacob 1:7; cf. Psalm 95:8),” KnoWhy 62 (March 25, 2016); Book of Mormon Central, “Why Does Nephi Quote a Temple Psalm While Commenting on Isaiah? (2 Nephi 25:16),” KnoWhy 51 (March 10, 2016); Book of Mormon Central, “Why Did Ammon Borrow So Much from Tradition in Alma 26? (Alma 26:8),” KnoWhy 133 (June 30, 2016); Book of Mormon Central, “Why Did Lehi Quote from a Psalm of Repentance in His Dream? (1 Nephi 8:8),” KnoWhy 325 (June 12, 2017); John Hilton III, “Old Testament Psalms in the Book of Mormon,” in Ascending the Mountain of the Lord: Temple, Praise, and Worship in the Old Testament (2013 Sperry Symposium), ed. Jeffrey R. Chadwick, Matthew J. Grey, and David Rolph Seely (Salt Lake City and Provo, UT: Deseret Book and Religious Studies Center, Brigham Young University, 2013), 291–311. 8. See, for example, Noel B. Reynolds, “The Israelite Background of Moses Typology in the Book of Mormon,” BYU Studies 44, no. 2 (2005); Neal Rappleye, “The Deuteronomist Reforms and Lehi’s Family Dynamics: A Social Context for the Rebellions of Laman and Lemuel,” Interpreter: A Journal of Mormon Scripture 16 (2015): 87–99; Noel B. Reynolds, “Lehi as Moses,” Journal of Book of Mormon Studies 9, no. 2 (2000): 26–35. S. Kent Brown, “The Exodus Pattern in the Book of Mormon,” in From Jerusalem to Zarahemla: Literary and Historical Studies of the Book of Mormon (Provo, UT: Religious Studies Center, Brigham Young University, 1998), 75–98; Book of Mormon Central, “Why is Lehi Depicted as Similar to Moses? (2 Nephi 3:9–10),” KnoWhy 268 (January 30, 2017). 9. See David Rolph Seely and Jo Ann H. Seely, “Lehi and Jeremiah: Prophets, Priests, and Patriarchs,” Journal of Book of Mormon Studies 8, no. 2 (1999): 24–35, 85–86. 10. Neal Rappleye, “The Deuteronomist Reforms and Lehi’s Family Dynamics: A Social Context for the Rebellions of Laman and Lemuel,” Interpreter: A Journal of Mormon Scripture 16 (2015): 87–99. 11. Taylor Halverson, “Covenant Patterns in the Old Testament and the Book of Mormon,” presentation given at the 2017 BMAF–BMC Book of Mormon Conference.